SteadyType by iMovR is a patented keyboard tray system which provides an unmatched ergonomic experience for typing while walking or standing. Unlike most peripheral keyboard trays, a SteadyType keyboard will not shake or wobble as you type. It is also fully adjustable, allowing you to tilt your keyboard and achieve a more natural hand position. 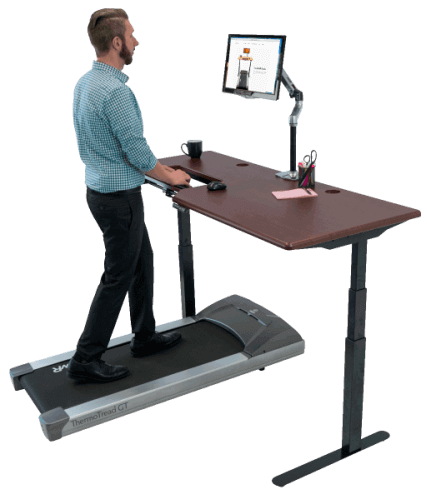 Combined with the ThermoTread GT office treadmill, our SteadyType series of treadmill desks make working while walking easy—as nature intended.